The recipient of numerous awards and widespread acclaim, Atul Gawande's Being Mortal has secured a position among the bestselling medical books of all time. In the years since it was first published, Being Mortal has become a cultural touchstone that has profoundly altered the way we think about end of life care. From those confronting their own mortality or that of a loved one to medical professionals guiding patients through their final days, readers of all backgrounds have connected with Gawande's insights on death and dignity. Here are some of the comments posted about Being Mortal. Many people are not comfortable contemplating their own aging and mortality. Nevertheless, I finished Being Mortal feeling like this is an important book and one that I would be eager to discuss with others. I highly recommend it; although it's nonfiction, it's extremely engaging and should hold the attention of fiction lovers as well as those who prefer books in the social sciences. Most will undoubtedly come away with a new perspective on these important issues. (Reviewed by Kim Kovacs). A needed call to action, a cautionary tale of what can go wrong, and often does, when a society fails to engage in a sustained discussion about aging and dying. Being Mortal, Atul Gawande's masterful exploration of aging, death, and the medical profession's mishandling of both, is his best and most personal book yet. Dr. Gawande’s book is not of the kind that some doctors write, reminding us how grim the fact of death can be. Rather, he shows how patients in the terminal phase of their illness can maintain important qualities of life. 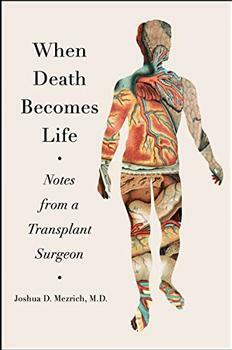 A surgeon himself, Gawande is eloquent about the inadequacy of medical school in preparing doctors to confront the subject of death with their patients. . . . it is rare to read a book that sparks with so much hard thinking. Atul Gawande's wise and courageous book raises the questions that none of us wants to think about ...Remarkable. Gawande’s book is so impressive that one can believe that it may well [change the medical profession] . . . May it be widely read and inwardly digested. A sensitive, intelligent and heartfelt examination of the processes of aging and dying. Beautifully crafted ...Being Mortal is a clear-eyed, informative exploration of what growing old means in the 21st century . . . a book I cannot recommend highly enough. This should be mandatory reading for every American. Masterful . . . Essential . . . For more than a decade, Atul Gawande has explored the fault lines of medicine ...combining his years of experience as a surgeon with his gift for fluid, seemingly effortless storytelling. Beautifully written ...In his newest and best book, Gawande . . . has provided us with a moving and clear-eyed look at aging and death in our society, and at the harms we do in turning it into a medical problem, rather than a human one. American medicine, Being Mortal reminds us, has prepared itself for life but not for death. This is Atul Gawande's most powerful--and moving--book. Being Mortal is not only wise and deeply moving, it is an essential and insightful book for our times, as one would expect from Atul Gawande, one of our finest physician writers. Well written, author provides insight to the issues of people as they age and the things they need to consider as they age. A must for Boomers and their family. Hospice is a medical specialty that focuses on end-of-life care for individuals and support for their families. Its roots come from the Latin for hostis meaning stranger, and more specifically from hospitem meaning a guesthouse - from these roots we also get hospital, hotel and hospitality.